There is nothing like firing up the grill on Sunday! 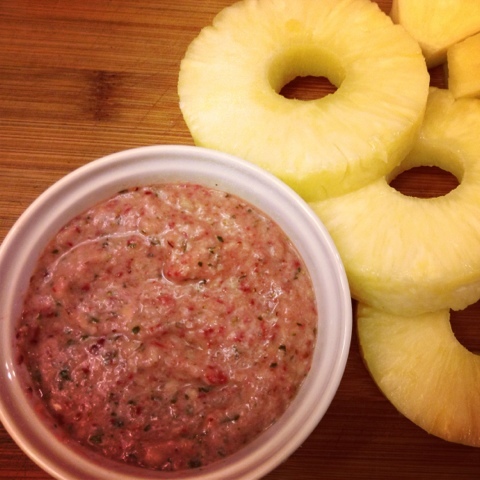 Today we are putting a fruity twist on the Grilled Chicken Kebab. 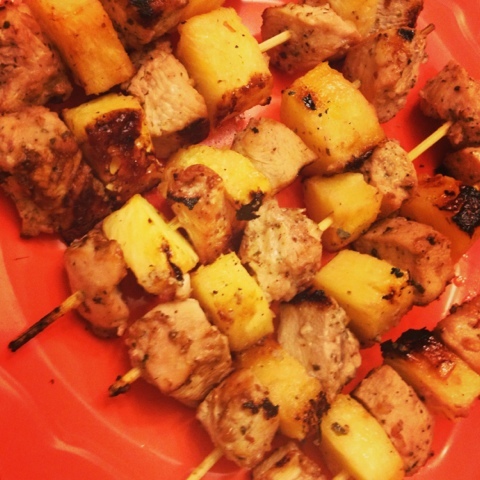 It's certainly going to feel like summer with our Strawberry Pesto Grilled Chicken & Pineapple kebabs! This meal is packed with fresh and delicious flavors and low in both calories and carbs, the perfect combo if you ask us! With Memorial Day NEXT weekend, there is no time to relax because it's officially bikini season! Work hard this week ladies :) We got this! Serve your kebabs up with some grilled veggies and you have yourself a filling and nutritious meal for under 500 calories ;) Hope you enjoy these fruity and juicy summer kebabs! 1. 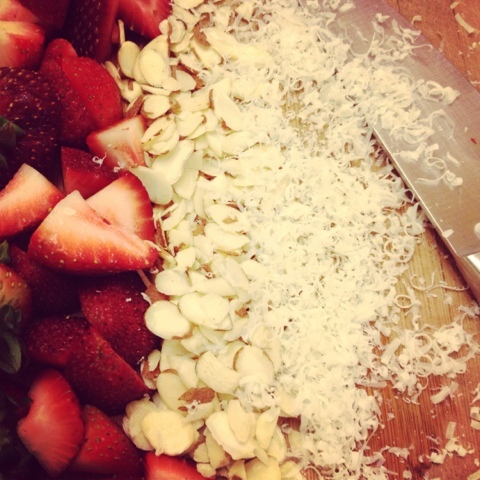 To make pesto add strawberries, garlic, almonds, olive oil, basil and parmesan cheese into food processor or blender and blend until smooth. Add salt and pepper to taste. 2. Cut chicken into bite size chunks and coat with 3/4 of pesto. Marinate for 30 minutes. 5. Grill on medium heat for 7-8 minutes flipping halfway through. 6. Serve up with remaining 1/4 pesto on the side for extra dipping. Strawberry pesto?? Yum! This sounds amazing! Definitely putting this on my list of recipes to try!